The Rev. Dr. Martin Luther King Jr. was praised during Middle Tennessee’s MLK Day in contrast to the politician who’s to be sworn-in as President on Friday. “‘Lord, what are you trying to do to us now?’” Andrew Young told 650 people in the Music City Center, Charles Robert Bone reported after the Bone McAllister Norton law firm’s 16th annual MLK Fellowship Breakfast. “It’s a hard pill to swallow, but we all know who’s in charge,” said Mary Wade, awards committee chair for Murfreesboro’s NAACP Branch. Her day started in La Vergne City Hall where she spoke of Rev. King’s dream and the dreamers; those who want to stay and those aspiring to serve on school boards and other places. In Columbia, the Rev. T. Devan Franklin III, Lake Providence Baptist Church on Nolensville Road, spoke in Mt. Lebanon Missionary Baptist Church honoring Dr. King and a Maury County Civil Rights pioneer, the late Rev. David Williams Sr.
Another long message was shortened by Barbara Dobbins; “If you don’t think your vote counts — dot, dot, dot.” The Freedom Fund Banquet chair, a retired principal, was the first woman president of Maury’s branch. 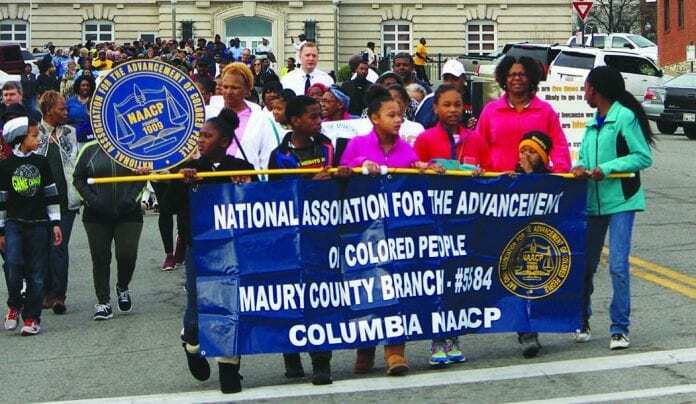 “All lives matter and our vote counts” was the theme for the branch in Clarksville led by Jimmie Garland, vice president of Tennessee’s NAACP State Conference. Jim Crow was described as David Williams III of Atlanta retold stories from his father, Columbia’s revered leader. Mid-1950s’ segregation prevented them from dining at Shoney’s, so they ate at Bonnies’ on Pulaski Highway. NAACP leaders sought work for blacks at Columbia groceries, were denied by one who was told by Milton Murray his store would burn, so grocers’ unified opposition vanished and blacks were hired. 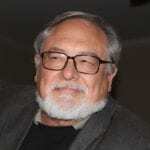 When drugs killed young blacks, Rev. Williams held a public meeting. Parents, police and elected leaders would’ve ejected a dealer, but Williams wanted him to know what they’d do. A hit was called on the preacher, but Murray had Black Panthers protect Williams. Murfreesboro NAACP Youth Council President Malcolm Dorsey encouraged young people to be part of the solution, not a problem. The branch marched from Central Magnet School to Patterson Community Center. “Heredity, where you’re coming from, where you’re going and that you have to do something” were discussed, Wade said. Nearly 650 marched in Clarksville, Garland said. It’s a day to do something, not a holiday. At Burt Elementary School, raising children was discussed. State Rep. John DeBarry of Memphis, a friend of Lewisburg Public Housing Director Ronald Robinson, spoke to 50 at Marshall’s courthouse about disciples watching Jesus rise when they should have gone out to do what He said to do. 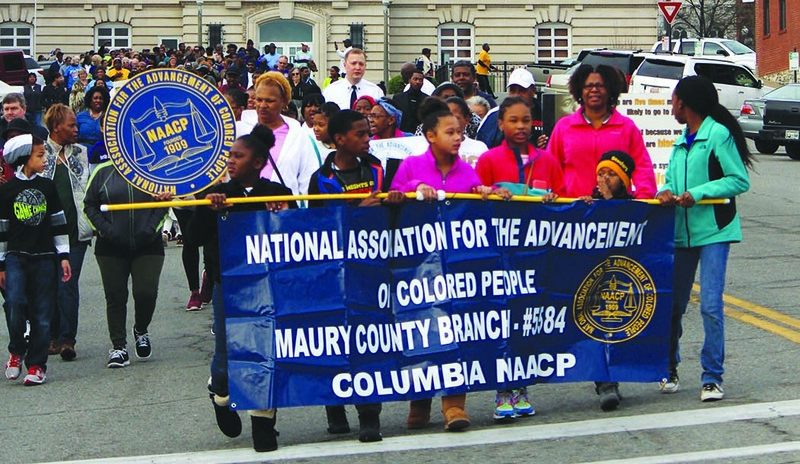 Dr. Angela Huff, a retired educator, explained the importance of the NAACP and the Civil Rights movement at Nashville’s branch office, president Ludy Wallace said. International Black Film Festival Coordinator Ingrid Brown spoke of commitment to be more active and involved in the community. Nashville’s branch leader said he didn’t hear the President-elect’s name during discussion on voter registration, economic development and job opportunities. “It stuck in the throat,” Marshall County Branch President Gary Davis said. At the Music City Center, Mayor Megan Barry spoke of youth violence and a summer program to employ 10,000 youth, and provide opportunity and hope, Bone said. “The annual MLK Fellowship breakfast is the soul of our law firm,” he said.